This why I didn't know what colours they were, as they packed in a plastic bag as are all products they stock! The packaging for the line are sooo cute! 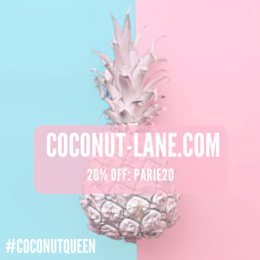 They are very professional and the cartoon on the front is uber cute! 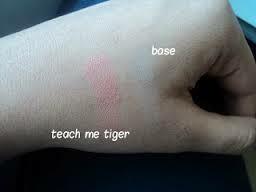 The first is a eye shadow in shade '003 Teach Me Tiger' it is a wonderful orange/pink shade! 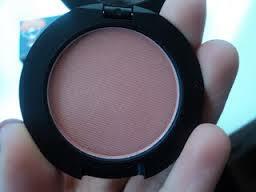 I think it a gorgeous colour for this time of year and is defo suitable for any skin tone! As a added bonus there is also a mirror with the eye-shadow, making it easier to travel with! 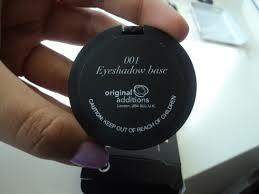 The second is a eye-shadow base that I am really excited about using! 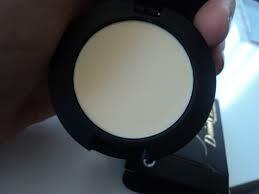 This has such a smooth, creamy formula that I can't wait to start using it! The lighting is awful, but you can kind of see both shades here! 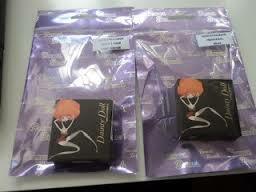 I hope to purchase more Dainty Doll products in the future!